-5 Day Weather Condition Forecast. 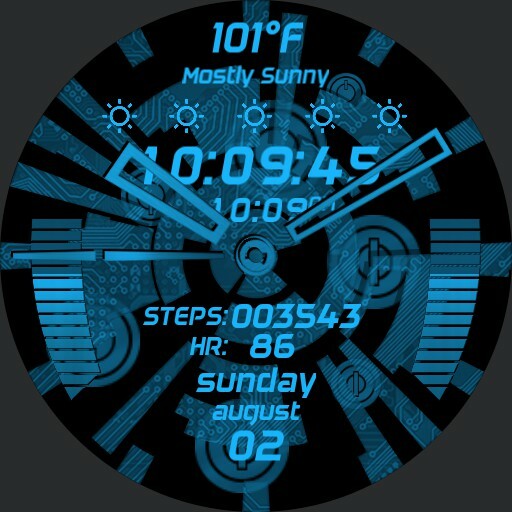 -Watch Battery Level. Left Gauge. -Phone Battery Level. Right Gauge.